School’s Out: All Brains on Deck! With my finals week over, an incredibly stressful semester has come to an end. In the course of four months, I changed majors twice, which meant taking a rigorous schedule to compensate. Ultimately, I had to leave chess behind to do well academically, as this term’s course load pushed me to become disciplined in my studies. After Beilin’s visit last March to the Chicago Chess Center, I decided I’d open my summer campaign here with a weekend tournament. I’ve actually never been to Illinois before, so that’s another state I can check off my list! I was hesitant to plan a trip to New York for two “rapid” tournaments, but a combination of wanting to play more games before the Chicago Open and frequent flyer miles convinced me otherwise. Besides, I won my first-ever tournament (I should clarify – non-scholastic) at the Marshall Chess Club! Playing in another tournament in back-to-back days is going to be exhausting. To prepare for this (and later the Chicago Open), I’ll need to work on my endurance and start running frequently. When I was preparing for Europe, I found the healthier I was, the better I performed. This one needs no introduction. I’ve signed up for the open section, which promises to offer a tough schedule of players. I’m hoping that by using the entirety of May to prepare, I can bring my best form to one of the toughest open tournaments in the country. I’ve got ten days to prepare for my first tournament since last January, and I’m going to have to train intensively to play my best chess. While I’m going to have to push myself, I do think the semester has made me more mentally prepared to play tournament chess. Right now, I’m not too worried about breaking National Master, I just want to play good games by training right and focusing on the right things – long term, the title and the rating will both come as an affirmation if I’ve succeeded. Based on some of my past results, I’m hoping it stays that way. One thing I’m curious about is what will my chess look like now that I no longer have the distraction of school. 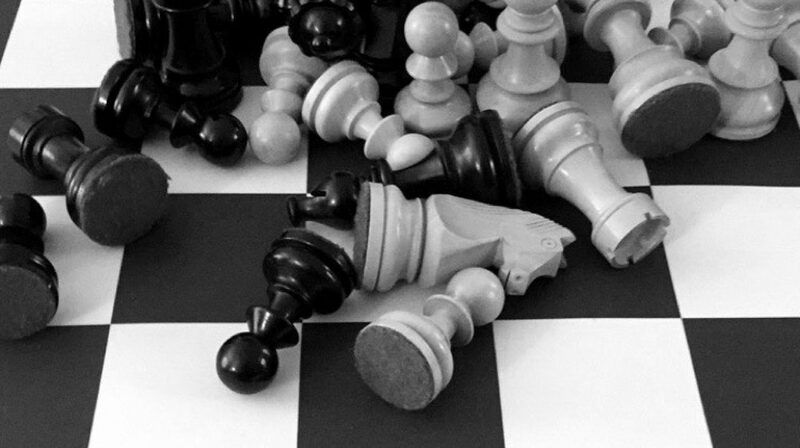 I’ve experimented a little – played a Pittsburgh Chess League match with an opening I had never used before, taking on new opponents on my Twitch Channel, managed the Pittsburgh Pawngrabbers, but more recently I entered a correspondence chess tournament on chess.com. Typically I’ve been terrible in online correspondence chess, as being addicted to my phone means needing to terminate all notifications!! As you can imagine, this means that I usually blunder once every 15 moves because I’m multi-tasking, but during exam week, it made for a nice five minute study break. Nothing serious – just something to keep my mind off the Keynesian IS/LM model for a bit. Anyways, I had a nice win in an Italian Opening as Black that I thought would be worth sharing. This was my first real think of the game. One fairly common idea for Black is to play ….Nc6-e7-g6, but if I played 8…Ne7 9. d4! more or less punishes my tepid play after 9…exd4 10. cxd4. I don’t really know where my bishop on c8 should go yet, so I played the least committal useful move 8…a5, which takes away a potential plan of b2-b4, while also creating a square on a7 should my bishop need to retreat. Now, should White try 9. d4 I can play 9… Bb6, and the point is that my knight (on c6 and not e7) supports the e5 pawn, so I don’t have to break the tension on d4. The difference in this position is that with my bishop on b6, 10. d4 is not as forcing so I can play 10…Ng6, having accomplished my relocation. Why is it that Black wants to put the knight on g6? This knight helps support the center, but also hints at a …Ng6-f4 jump in the future. Additionally, by moving the knight away from c6, I can now match White’s pawn structure with …c7-c6, with the ability of either playing for …d6-d5 or playing …Bb6-c7 to thrust forward my b7 pawn. White’s been following the basic plans for White too, but can he keep it up? 11. Ng3 Ng6 12. Be3 c6 13. Qd2?! This didn’t feel right. I thought after 13. d4! White maintains a typical Italian Opening edge. Had White gone down this route, I think Black will need to find a long term square for the c8 bishop, and that’s not easy considering its presently safeguarding the f5 square. I figured White’s plan was to sacrifice on h6, so I just played 13…Kh7 to sidestep the threat and wait. I figured I can choose to play …d6-d5 later, so this didn’t seem like much of a concession on my end. As it turns out, White actually had 14. d4! here, which I completely missed because it left e4 unprotected. Luckily for me, my opponent chose the move I had anticipated, 14. Nf5 but then erred – 14…Bxe3 15. fxe3? d5! and I won easily after that… even with a few careless moves. What I liked about this game is that it really shows you why it’s important to know how to open a game of chess. In many openings, having insight into what your plan for development is, and why its effective is a lot more beneficial than purely memorizing moves. This is how I handle a lot of docile openings without needing to know complicated theory – take this game I played against the Glek in Germany last year. As I gear up for my tournaments this month, I’m going to be looking through a lot of my opening preparation. If I tried to memorize it all, I would drive myself crazy! So instead, look for key pawn structures, how your pieces work together, and key attacking ideas – these are the very elements the computer will never tell you! What you’ll find is that you will learn more from asking yourself questions than answering them!